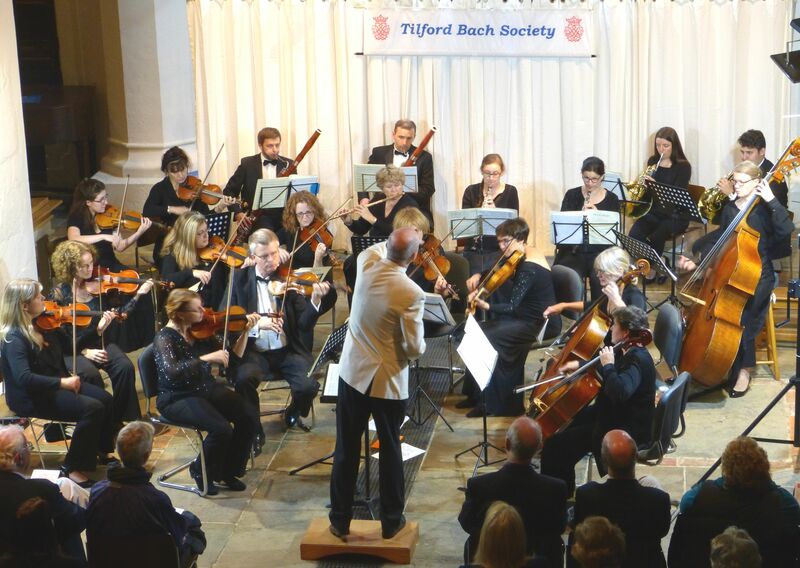 TBS was proud to host the inaugural concert of the Farnham Sinfonia, which is formed from local professional musicians and conducted by local composer Matthew Taylor (see bio below). The creation of the Farnham Sinfonia is the achievement of Farnham resident, professional musician, composer and BBC broadcaster Matthew Taylor. 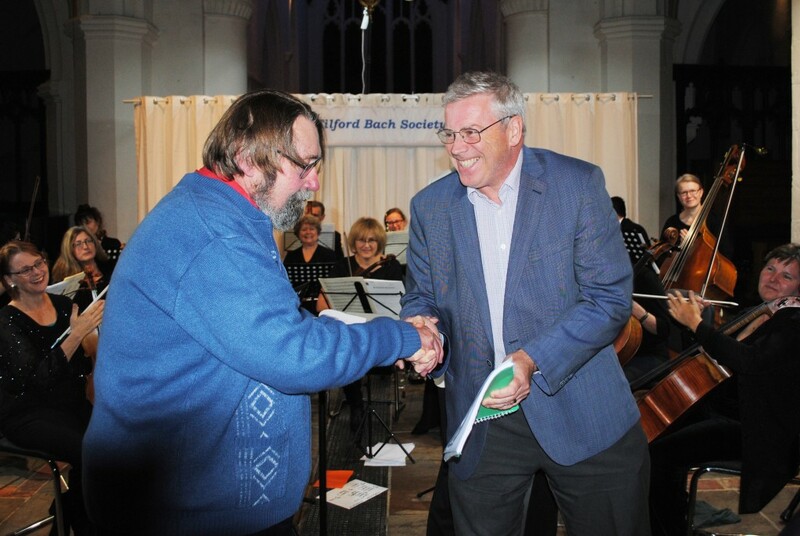 He has brought together 20 professional musicians who all live in or around Farnham and, on 7th October at St Andrew’s Parish Church, they delivered a stunning programme that included two symphonies and other pieces, including a world premiere performance. 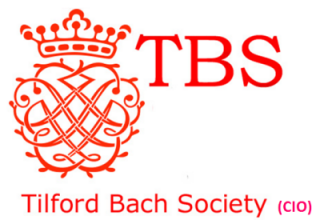 This historic event was presented as the first concert of the autumn season of the Tilford Bach Society, whose programme of professionally performed music delivers outstanding musical performances on a regular basis. Matthew Taylor became aware, after coming to live in Farnham in 2010, that there are many professional musicians in the area. He compiled a list of those he knew would be suitable members of an orchestra. This concert was a culmination of that process. The Leader of the orchestra is Sophie Langdon, one of the country’s leading violinsts, who performs as a soloist with many orchestras including the Royal Philharmonic Orchestra. Starting with the Sibelius’s Andante Festivo, the audience was immediately aware that the concert was going to be very special. This was the only work that the composer himself personally recorded and it was a very appropriate opening work for a new orchestra. It was followed by the Haydn Symphony No 83 (“The Hen”), performed with verve and great contrast. The first half finished with the performance of a new piece called Sinfonietta by the composer Cyril Lloyd, which was warmly received by the audience. Modern, but tonal in composition, it comprised four linked movements that delighted everybody with its humour and contrast. The composer was present, was loudly applauded and spoke briefly to announce his dedication of the work to a member of the audience, Mr Gordon Ironside, the headmaster of Sutton Grammar School. The opening piece of the second half was Lullaby for Yodit, a short, beautiful and mournful work for strings by the Danish composer Poul Ruders, written in memory of a friend’s partner who died aged 41. The final work was a true classical symphony, described by Matthew Taylor as the greatest work ever composed by a teenage composer. Franz Schubert was one of the greatest composing geniuses who ever lived, sadly cut off by an early death at the age of 31. His 5th Symphony in B flat is pure joy and the performance by our new orchestra brought that joy to the large audience that went home with some of Schubert’s great tunes ringing in their ears. Farnham’s music lovers are urged to look out for future concerts with this new orchestra. Matthew Taylor is becoming one of our greatest musical assets in the town. He brings a range of skills including a fund of both interesting and trivial information about music, composers and musicians that enlivens events in which he can talk to his audiences. 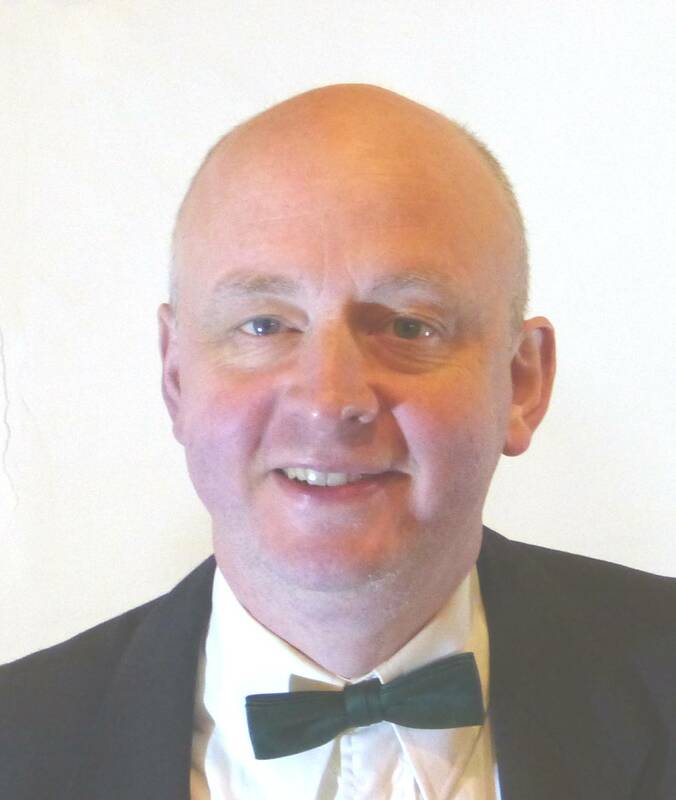 He runs regular recital talks MUSIC EXPLORED at the United Reformed Church on Wednesdays – details HERE. Matthew Taylor was born in 1964 and won a Music Scholarship to Queens’ College Cambridge in 1983 were he studied with Robin Holloway and conducted the University Orchestras. He later studied with Leonard Bernstein and received tuition from George Hurst and Vilem Tausky. He also received special encouragement from Robert Simpson whose music and outlook became a crucial influence in these earlier years. 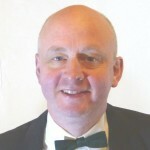 The success of Matthew’s 1st Symphony (1985) which was performed several times by the BBC Scottish Symphony Orchestra and Bournemouth Sinfonietta led to a a continual stream of commissions and performances in the UK and abroad. Exposure to Beethoven symphonies at a very young age provided the initial stimulus for Matthews’ desire to compose which was soon followed by a lifelong fascination with the music of Schumann. Matthew has also been strongly drawn to Scandinavian civilisation and Nordic culture as a whole, particularly the music of Sibelius and Nielsen. Matthew has appeared as guest conductor with many UK orchestras including Bournemouth Symphony Orchestra, City of London Sinfonia, English Chamber Orchestra , Royal Ballet Sinfonia. He made several visits to St Petersburg as Guest conductor and is Music Director of LSE Orchestra and Junior Academy Sinfoinietta. Matthew has been Composer in Residence at Malvern Festival (1993) Presteigne Festival (2015) and Hertford Festival (2017). He was also Associate Composer at Blackheath Halls (1999) and sound.collective (2003). Sophie Langdon is one of Britain’s leading violinists. Her career encompasses concerto performances and recordings with many major orchestras – the BBC Symphony Orchestra, BBC Philharmonic, the Royal Philharmonic, the Philharmonia, the Berlin Radio Orchestra and others. Recordings for Chandos, Naxos and ASV were released to great critical acclaim. Notable performances include the Beethoven Triple Concerto in the Berlin Philharmonie with the Berlin Radio Orchestra, and the Berg Chamber Concerto also in Berlin. She performed the Weill violin concerto at the Spitalfields Festival – this performance established Langdon as a recognised musical force. 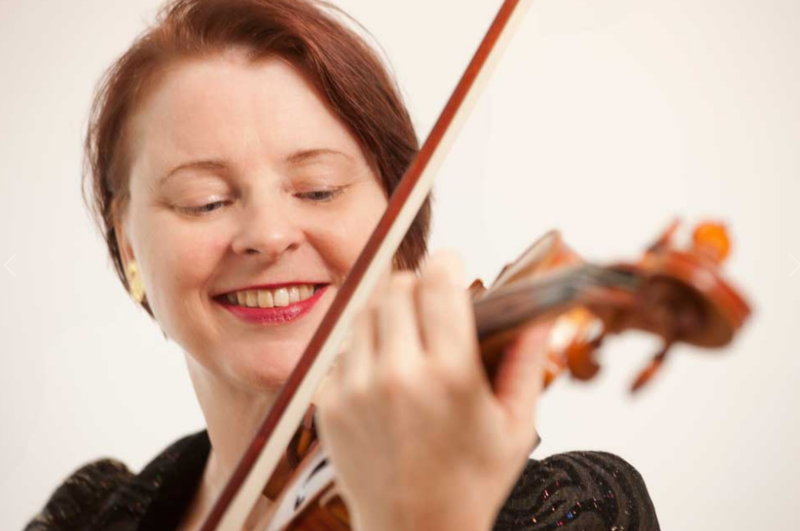 Sophie’s professional activities span many fields – solo performance, chamber music with her own Fourth Dimension String Quartet, orchestral leading and directing – she is has been the concertmaster of the Bath Philharmonia for 15 years. Langdon also holds the post of leader of the Southern Pro Musica, and the London Jazz Sinfonia. She has always been a committed teacher as well as performer, and her posts have included a Head of Strings at Cranleigh School, Surrey, professor of violin at the Central Ostrabothnian Conservatoire, violin teacher at the Guildhall Junior Department, the Yehudi Menuhin School, Chethams School in Manchester, professor of violin at the Trinity College of Music, and for over 20 years, professor of violin at the Royal Academy of Music where she continues to teach today. Her students are performing all over the world in professional orchestras and ensembles. In the field of chamber music, Sophie has lead her quartet, the Fourth Dimension String Quartet, in many notable performances including an acclaimed recording of Goldmark string quartet and quintet for ASV. Langdon’s studies began at the Royal Academy of Music, continued in New York at the Juilliard School, then the Curtis Institute, Philadelphia, finishing with advanced solo studies at the Guildhall School. All studies were scholarship funded and Langdon was awarded many prizes for outstanding performances. Her major violinistic influences have been her studies with Ivan Galamian, Gyorgy Pauk and Carmel Kaine. 2012 saw the inauguration of Langdon’s Enhanced Performance Techniques workshops. Teaching posts are currently at Wellington College and the Royal Academy of Music.